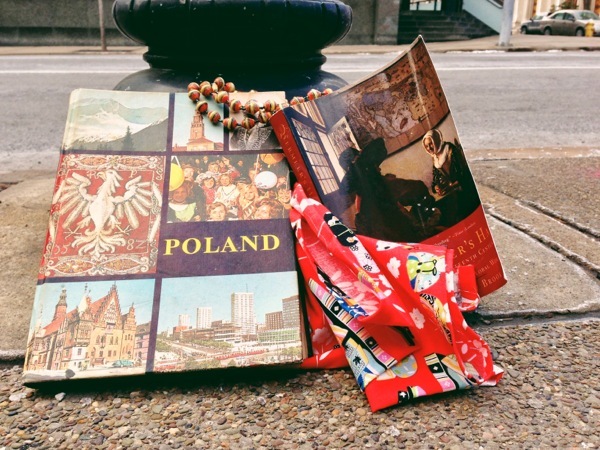 Book about Poland, Book about Vermeer, Beads, and a Scarf. Found in the Oakland Neighborhood of Pittsburgh. February 7, 2013 by Steve Ellington.